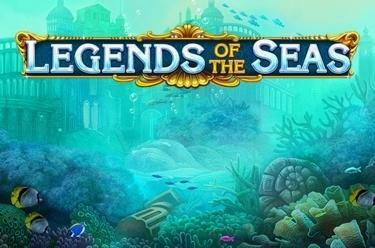 Play Legends of the Seas online for free now! 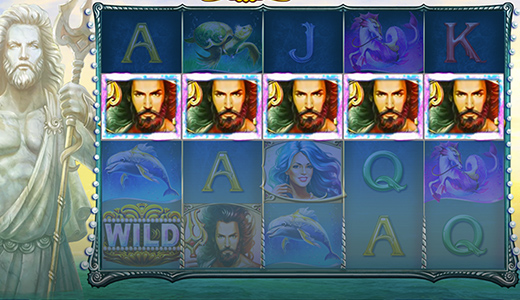 Neptune, the Roman god of the sea, requests your presence in Legends of the Seas! Majestic creatures and an enchanting mermaid await in the depths of the sea. With a little luck your winnings might make a splash on 5 reels and 40 fixed win lines! Put on your diving suit and go on a breathtaking adventure in Neptune's realm! Land at least 3 adjacent identical symbols on one of the win lines running from left to right to pile up Twists. Symbol combos with 5 symbols will top up your account big time! Please note: The first symbol of a combo always has to land on reel 1 to achieve winnings. Moreover, during the main game a symbol can randomly land on 4 to 9 neighboring reel positions and generate particularly juicy winnings. The Wild symbol can substitute for any other symbol to complete winning combos (exceptions: Neptune, Mermaid and Neptune/Mermaid). The Scatter symbol Neptune only appears on reel 2 during the main game and covers up to 3 reel positions. It increases winning chances for the small, regular Neptune symbol. The Scatter symbol Mermaid only lands on reel 4 in the main game but also covers up to 3 reel positions. It increases winning chances for the small, regular Mermaid symbol. You earn 10 free games if both Scatter appear simultaneously and completely on the reels! A random symbol covers 4 to 9 neighboring reel positions. One of the reels 1, 2, 4 or 5 turns into a Wild reel. The Neptune/Mermaid symbol covers 3 positions on reel 3 and triggers 2 additional free games. During the free games multipliers up to 10x are possible! Neptune's trident is an all-powerful weapon that can cause both a storm at sea and in your account. The ruler of the sea's might is spectacularly portrayed in the hit slot Legends of the Seas! While you are enjoying grand gaming action Neptune might just shower you with winnings!